Monrovia students debating about the education system in Liberia. LEF's first university student graduate, Amy Zoryu, with a certificate in Nursing. Scholarship recipients from Ganta City in Nimba County. Camden High School Chapter hosts a contradance fundraiser. Students and coordinators do work in the LEF Office in Monrovia. Monrovia students and Program Director, Kim celebrating Liberian Independence Day on the beach. Three generations of strong Liberian women. Philemina Joh, LEF scholar and aspiring accountant, with her mother Anna and her grandmother Esther. 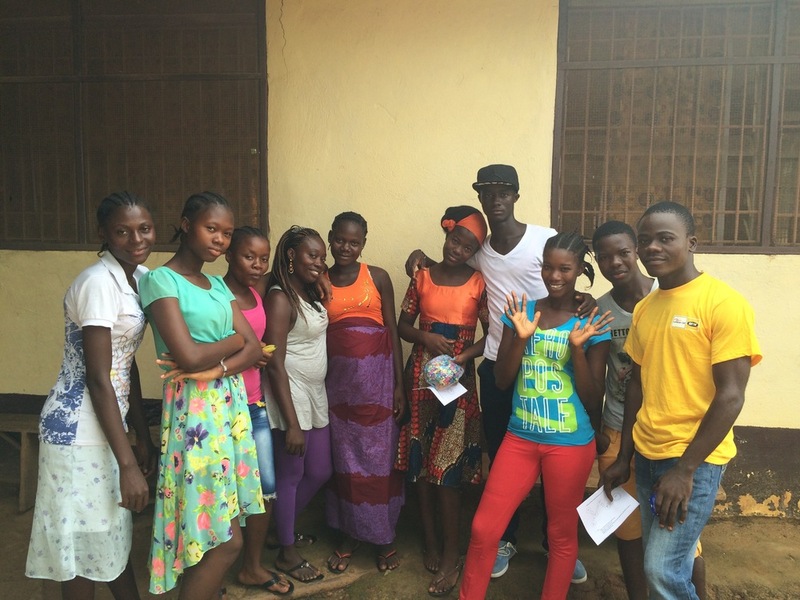 Liberian students posing after their awareness campaign during the Ebola Outbreak. Winner and his prize after a Watershed High School Chapter 5k fundraiser. High School Chapter student leaders in Maine. Monrovia scholarship recipients playing leadership games at a meeting. The Montserrado Branch at their monthly meeting in November, 2016. Our mission is to provide youth in Liberia with educational opportunities by building connections among students from across the world. Liberia, a small country in West Africa, was devastated by a 14-year civil war that left the country in ruins. The war ended in 2003, but much of Liberia remains underdeveloped. The public education system is poorly funded and in many cases dysfunctional, while most private schools charge high tuition fees that the majority of Liberians cannot afford. Many young people are thus unable to complete high school. To address this injustice, LEF offers scholarships to a select number of Liberian students to attend high school and university. These scholarship students meet regularly to develop communication and leadership skills in addition to completing service projects in their communities. All of the funding for these scholarships comes from students in the U.S., who are matched with students in Liberia to organize and fundraise on their behalf. Since our founding in 2007, over 200 students in the U.S. have fundraised more than $45,000 for LEF, becoming leaders in their communities and schools. In Liberia, 64 underprivileged students have been awarded scholarships to further their education, and many of them now play a fundamental role in leading the program.